Solar Light Mart provides the latest solar technologies direct to our customers. We offer a complete line of renewable energy products that meet the highest quality standards in the industry. We deliver highest quality solar products and services accross 52 countries: Australia, Brunei, China, Hong Kong, India, Indonesia, Japan, Laos, Macau, Myanmar, New Zealand, Philippines, Singapore, South Korea, Taiwan, Thailand, Vietnam and rest of the world. 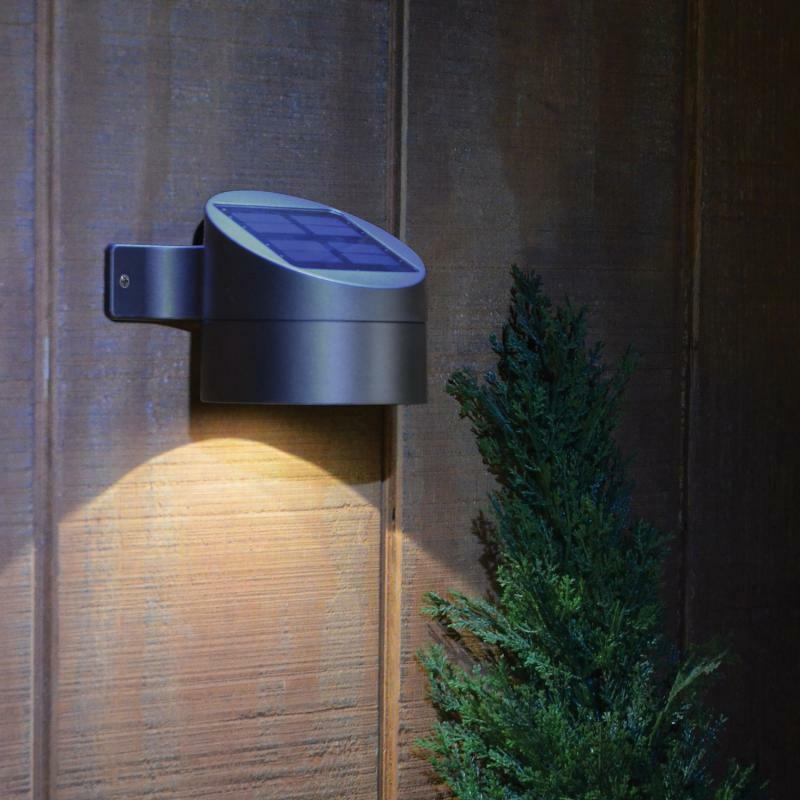 The Mini 8X Solar Wall Mount Deck Sconce is an outdoor sconce that can be screwed into a wall or railing to illuminate a deck, wall, walkway or dark area. At the top of this sconce is a solar panel which collects sunlight throughout the course of the day to charge the light so that it can automatically illuminate at nightfall. Because this light is solar powered it is self-sufficient provided it is setup in an area that receives ample sunlight over the course of the day which it needs in order for it to work properly. 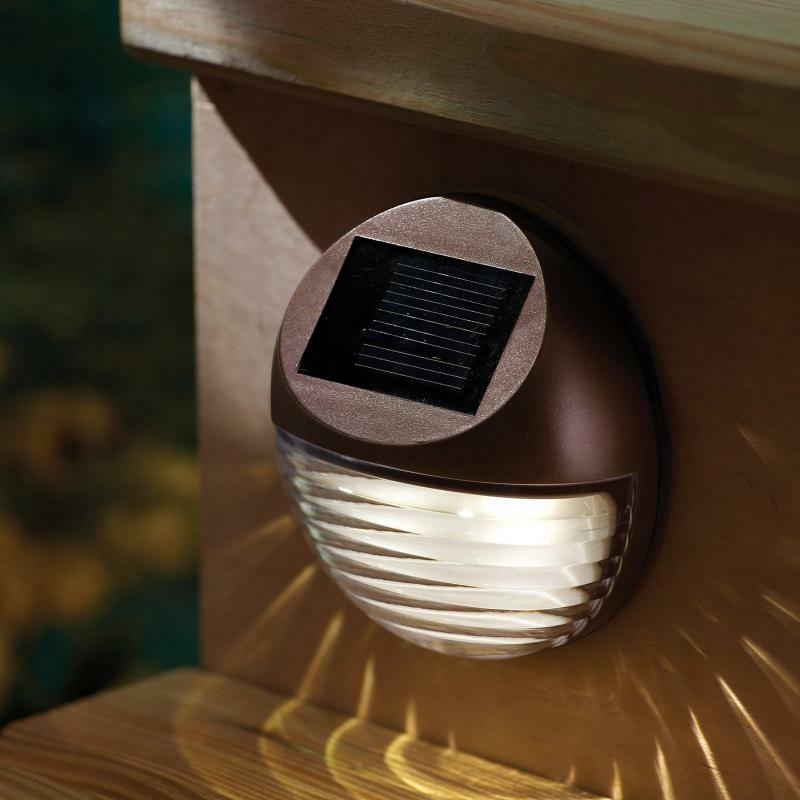 Being solar powered also means that this Mini 8X Solar Wall Mount Deck Sconce costs nothing to operate because it is not wired in to any electrical supply. 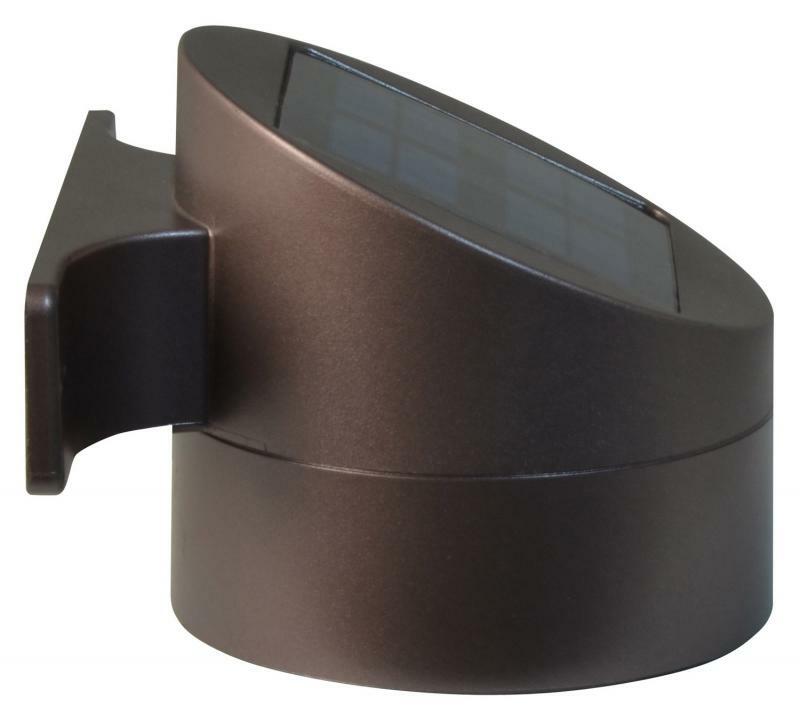 The Mini 8X Solar Wall Mount Deck Sconce is constructed of durable plastic with a bronze finish and features an 18 lumen warm white LED. The most power wall light in the market. They're our brightest solar wall light listed as 8 times brightness! Our solar wall light is a portable light fixture composed of a LED lamp, a photovoltaic solar panel, and a rechargeable battery. Solar panel on top the lamp recharges the battery with sunlight. Solar wall lights recharge during the day. At dusk, they turn on automatically and remain illuminated overnight, depending on how much sunlight they receive during the day. Battery Type is AA NiMH rechargeable battery and can be easily found in hardware stores. Our solar wall lights are brighter because they put out more LUX than regular solar spotlights. LUX is the measurable amount of light that falls on the ground from a lamp. 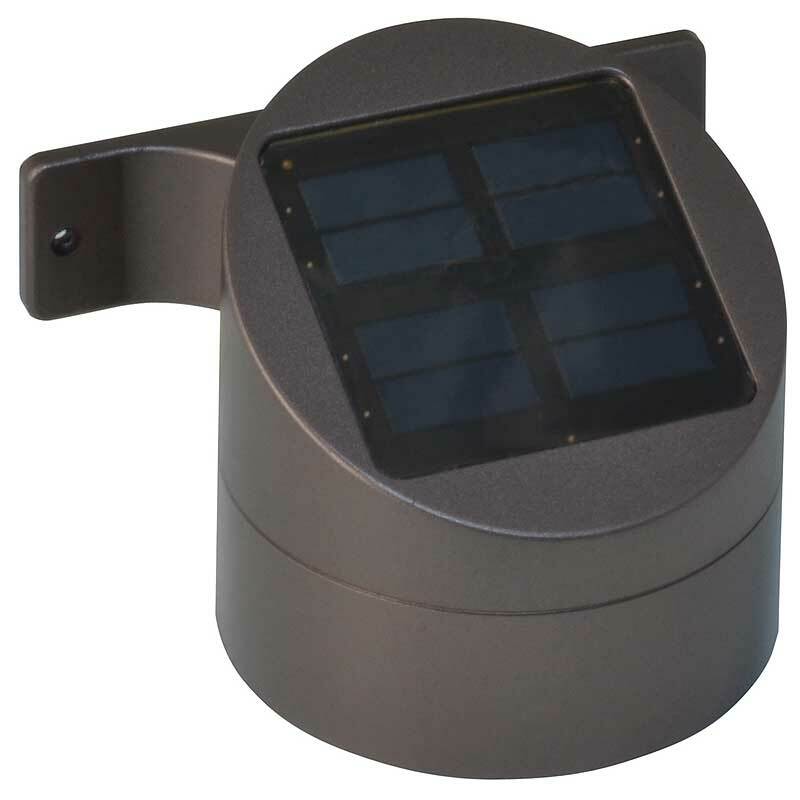 The Mini 8X Solar Wall Mount Deck Sconce take all design factors into consideration to give premium light output. We don't just stop at the lumens. We consider the solar panel, circuit design, batteries, LEDs, and optical design to attain the greatest LUX possible. You can now light up your wall, pillar, porch or patio with solar lighting that saves you money on your monthly electricity bill. Light up and deco your wall! This durable light is equipped with the latest solar panel that stores the sun's energy into long-life rechargeable batteries. At dusk, these batteries automatically power its amber LED units that illuminate your outdoors with soothing amber glow for 8 to 10 hours. Light up signboard, house number and so forth! 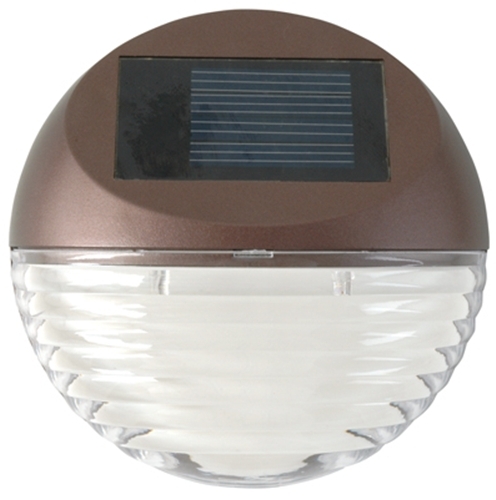 Add discreet safety lighting to your deck using Solar Mini Deck Light. 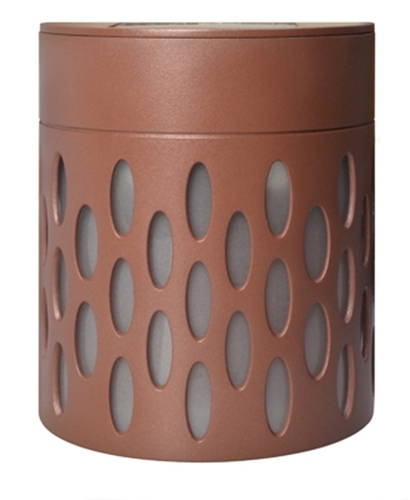 Made with durable plastic with bronze finish and a plastic lens, this deck light has solar panels and stays illuminated for up to eight hours on full solar charge. 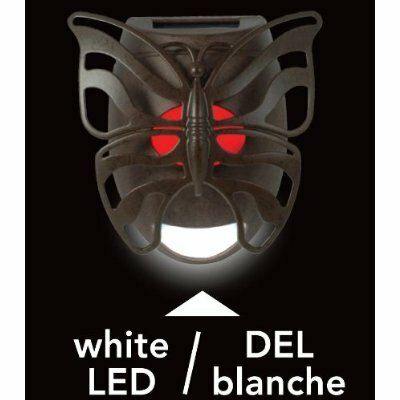 The white LED automatically comes on at dusk, and never needs replacing. Included screws make installation a breeze. 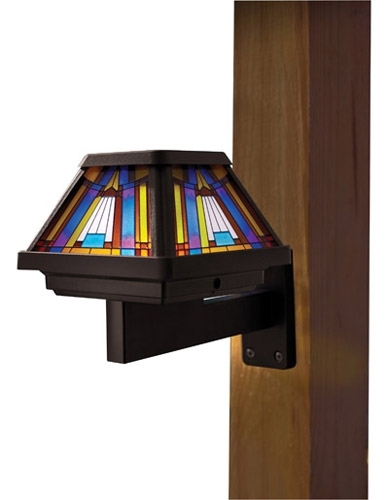 Charming and attractive, our Inglenook Stained Glass Style Post Cap Lightadds interest and functionality to bare posts. Made with durable plastic, this post cap light features a brushed copper painted finish with a plastic stained-glass lens. The solar panel atop the fixture keeps the light illuminated for up to eight hours on full solar charge. The six time brighter warm white LED light automatically comes on at dusk and never needs replacing. Installation is a cinch with the included screws and optional wall-mount bracket. You can now light up your pillar with solar lighting that saves you money on your monthly electricity bill. Installing a wall light has never been easier! No more low voltage wiring - just install screws to your deck and then slide this light on. Beautiful stained glass lens. Warm white LED provides down lighting effect. This durable light is equipped with the latest solar panel that stores the sun's energy into long-life rechargeable batteries. At dusk, these batteries automatically power its warm white LED units that illuminate your outdoors with soothing colorful glow for 8 to 10 hours. This mini deck light combines contemporary design and dual LEDs to highlight your deck railing, posts or stairs. 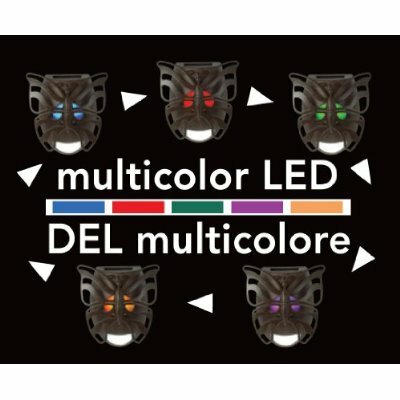 2 warm white LEDs per fixture - 2.4 Lumen total. 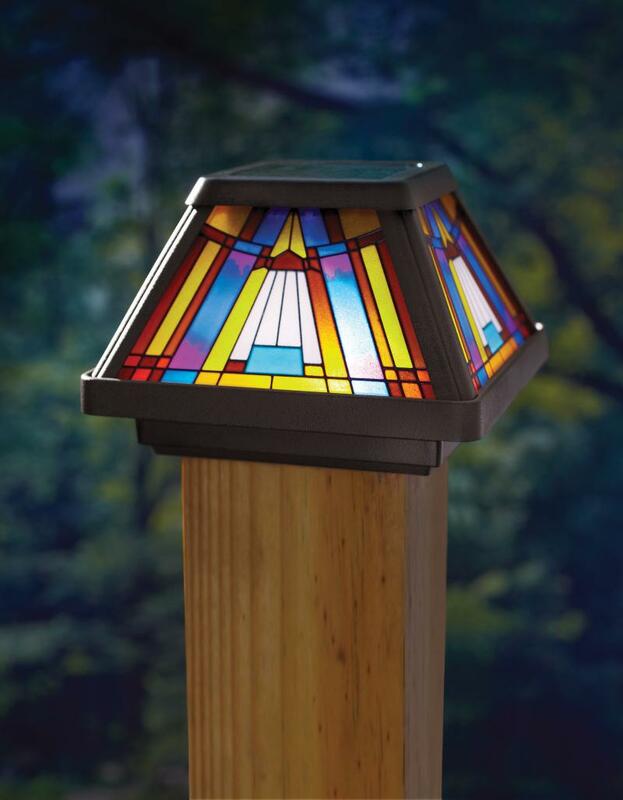 Charming and attractive, our Inglenook Stained Glass Style Post Cap Light adds interest and functionality to bare posts. Made with durable plastic, this post cap light features a brushed copper painted finish with a plastic stained-glass lens. The solar panel atop the fixture keeps the light illuminated for up to eight hours on full solar charge. 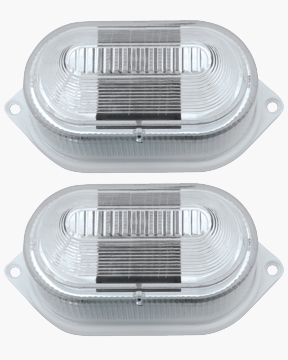 The six time brighter warm white LED light automatically comes on at dusk and never needs replacing. Installation is a cinch with the included screws and optional wall-mount bracket. Installing a deck light has never been easier! No more low voltage wiring - just install screws to your deck and then slide this light on. 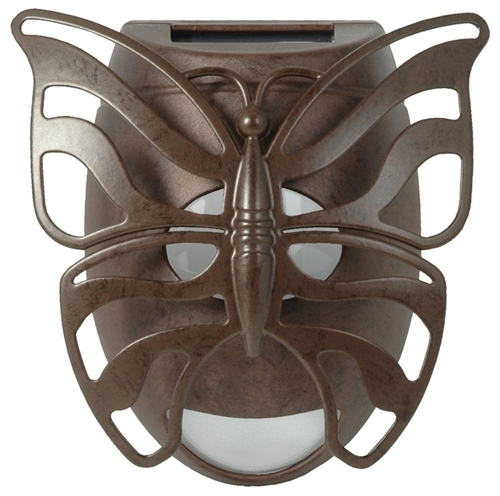 Beautiful bronze finish with metal butterfly décor. Shining white LED provides down lighting effect. The Multipurpose LED Solar Lights are a quick and easy way to bring lighting to any outdoor area, to provide added security and safety. The lights are easily attached to any flat surface to provide you with illumination once dusk falls. The Multipurpose LED Solar Lights are made by Solar Light Mart and are provided in a pack of two. Each light uses two bright white LEDs to provide illumination and has its own internal solar panel to provide the electricity to power them. This allows you to place the lights as close together or as far apart from each other as you wish, as they each operate as a self contained unit. The lights turn on automatically once dusk falls and are constructed from thick plastic that is weather resistant, allowing them to remain outdoors all year round. These multipurpose lights come with full instructions and two screws per light to allow you to quickly and simply install them where you wish. Some thought should be given over the positioning of each light to ensure it both receives enough sunlight during the day to charge its internal battery and that it provides light where you will require it at night. 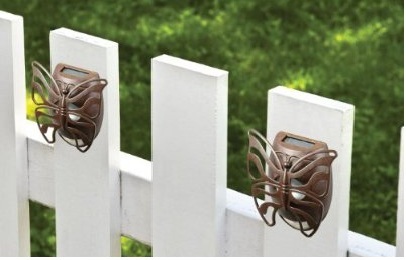 These Multipurpose LED Solar Lights provide extra security to your outdoor areas allowing you to see what is happening. The lights also add safety to a garden by lighting the way, to highlight a path, step, or any other potential hazard outside. The lights could also be used to light up an area containing a garden feature, or to light the doorway of a shed or outbuilding. Because each light uses solar energy to power the lighting there is no complicated wiring or long term running costs and each light can be easily installed quickly. This helps you to light your outdoor spaces yourself without any worries over added electrical usage. Copyright 2007 SC Origin. All rights reserved. Solar Light Mart is a division of SC Origin. Solar Light Mart is a trademark of SC Origin.